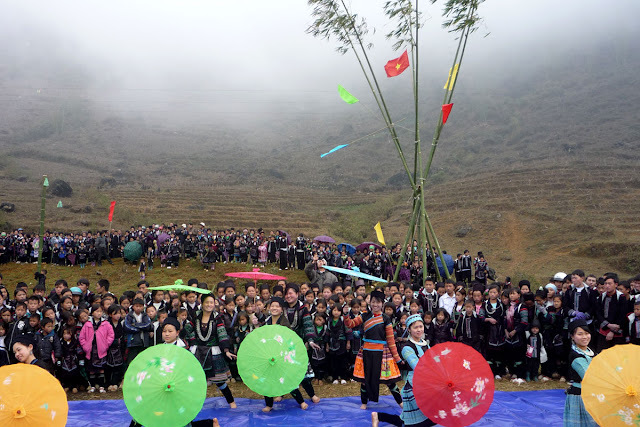 Coming Sapa, beyond ethnic H'mong, Dao you'll meet Giay ethnic. Giay ethnic group is a branch of ethnic Tay – Thai, live mainly in the mountains north pole. Total Giay in Vietnam only 25 thousand and in Sapa they accounted for only 2%, concentrated in the valley to Ta Van, Lao Cha. As well as the Tay, Nung, Thai, Giay farming plots flat paddy cultivation. Giay costumes in Sapa are quite simple. Women wear ankle-length trousers in indigo color, embroidered brocade bag, long loose-sleeve blouse with hair wrapped around head. Men wear round collar shirt with buttons, trousers with wide waistband. 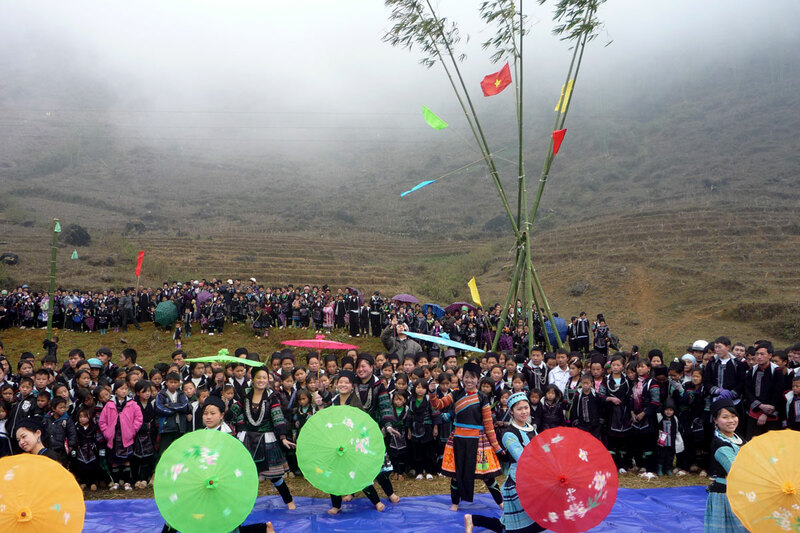 Roong Pooc festival of Giay people in Sapa puts an end to the whole relaxing lunar January and opens a new harvest. Plus, this festival is also the time for people to pray for good harvest, cattles and health for family members. This is considered a agricultural festival, which reflects some part of Giay history of Lingaism and Polytheism. Giay society is based upon the nuclear family, which is patriarchal. Marriages are monogamous, and family lineage is reckoned through the male line. Women must be able to show that they are under the authority of a man. Wives are under their husband's authority, unmarried girls must obey their fathers, and widows defer to their sons. And unlike Dao and Mong women, who sell brocade products to tourists, the Giay women do house and farm work. They rarely go out of their hamlet in their leisure time. The women make clothes for all the family members.